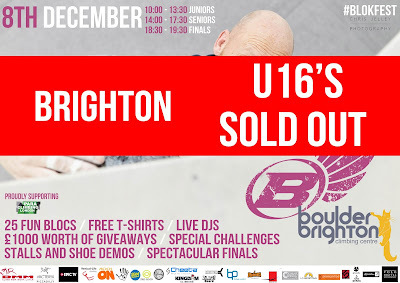 BLOKFEST: Boulder Brighton Under 16's SOLD OUT! Boulder Brighton Under 16's SOLD OUT! After a very busy and awesome first event, the Blokfest roadshow moves out of the London and down to Brighton. We always expected it to be busy but the UNDER 16's tickets have now completely SOLD OUT! 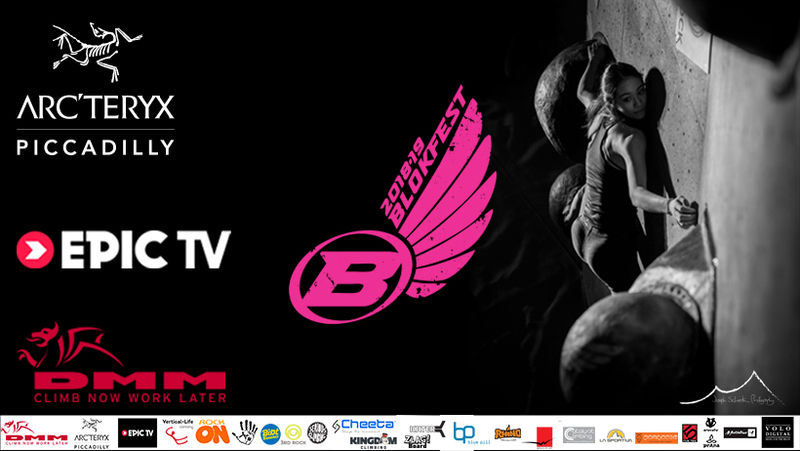 We are really truly sorry if you have missed out but please remember that Boulder Brighton is around 1/2 the size of Harrowall at least! We have to limit numbers for safety reasons and there is a limit to how many of you fit on the wall. Please please respect this and do not turn up on the morning of the event. FULL is full and we are really sorry. Do make sure you get yourselves booked for the remaining events to avoid disappointment. We expect a 100% attendance so creating a waiting list for the Under 16's sadly does not seem worth it and it would only create false hope :-( . We would only know about no-shows during the event by which point it would sadly be too late anyway. We really wish we could fit everyone in but the venues do vary in size and we need to fair to everyone. Thank you for your understanding.